ParkVia provides alternative booking services for parking in a secure, economic and easy way. At ParkVia, we know about the difficulty of finding parking a parking space at affordable prices in the city, which is why we listed a low cost Belo Horizonte parking option on our website. With Belo Horizonte parking on ParkVia, you will find an option when you are looking to park in the city centre. You will be able to park just 7 minutes away from the Metro Central Station and know that your vehicle is in safe hands. Check the availability of Belo Horizonte parking now and make your booking to secure your parking space. ParkVia provides you the best option for parking in the city so you can travel in peace. If you require any help with the booking process, please visit our "How to book" page or alternatively "Contact us". 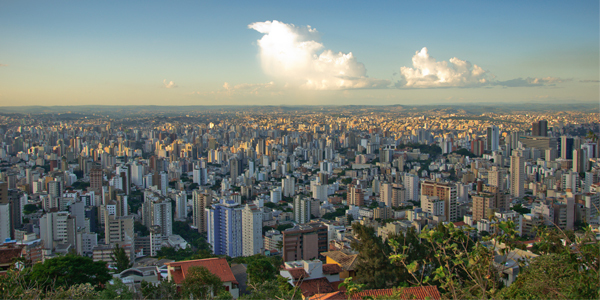 Belo Horizonte is the sixth most populous city in Brazil. It is also considered to be the largest city with the best quality of life in Latin America. The city of Belo Horizonte is known worldwide and has a significant influence in the cultural, economic and political norms both nationally and internationally. Belo Horizonte is the capital city of Minas Gerais. It has a diverse geography, from hills and lowlands. It is surrounded by the Sierra of Curral which is used as a natural frame and historical reference to the city.